We have been happy to welcome several more relief teams over the past few weeks, one through Mission of Hope focusing on constructing roofs for the town of Bonbon, and two other groups helping to finish our group gallery and eating area, as well as continue to cover roofs from the town of Jeremie to Te Wouj and beyond! We are blessed to be able to house these groups, and finish getting our facility ready for even more in the future. We love seeing groups that come to serve both the community and our staff. Our elementary school at Te Wouj has recently reopened! 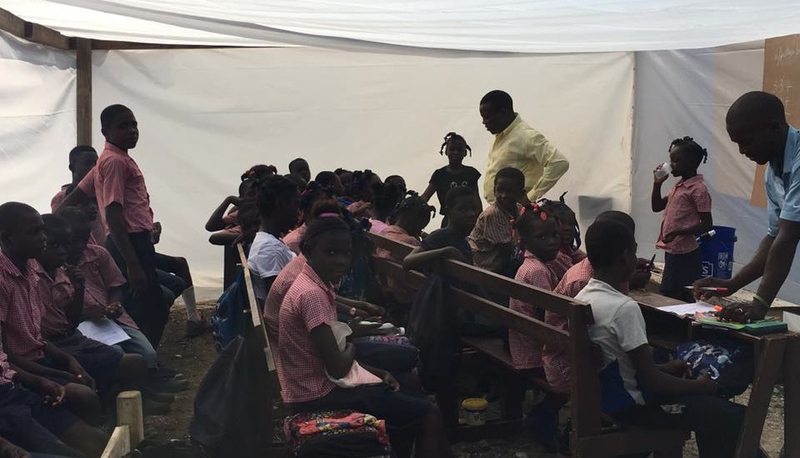 Our teachers and students are happy to be reunited, even if it's in a temporary tarp structure at this time as we prepare to rebuild the new school in the near future. Our recent group from Grace Bible Church in Florida was able to use the opportunity of the students in one place to help hand out the Christmas shoe boxes donated by Moses Lake Church in Washington. It is sweet to see churches gathering together to give and help, and it was a bright spot in the dark times these students have recently experienced. Thank you to Moses Lake and all who contributed. 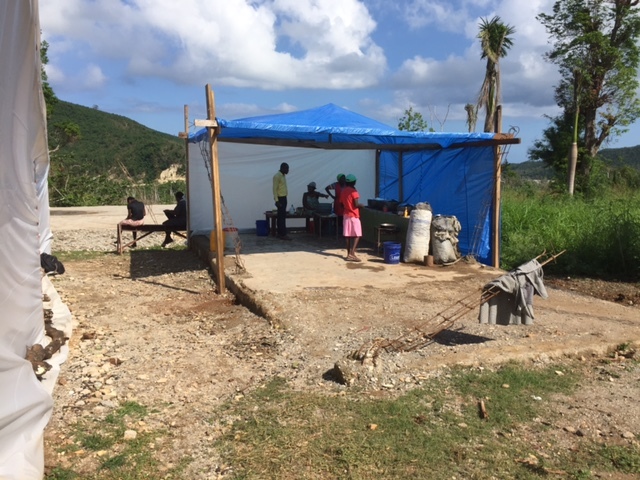 At the same time, the student home rebuilding project has continued, with many of the houses that were totally destroyed now reframed, and homes that were without roofs are being covered. We are excited to continue this project to see every student back in adequate housing in the near future.